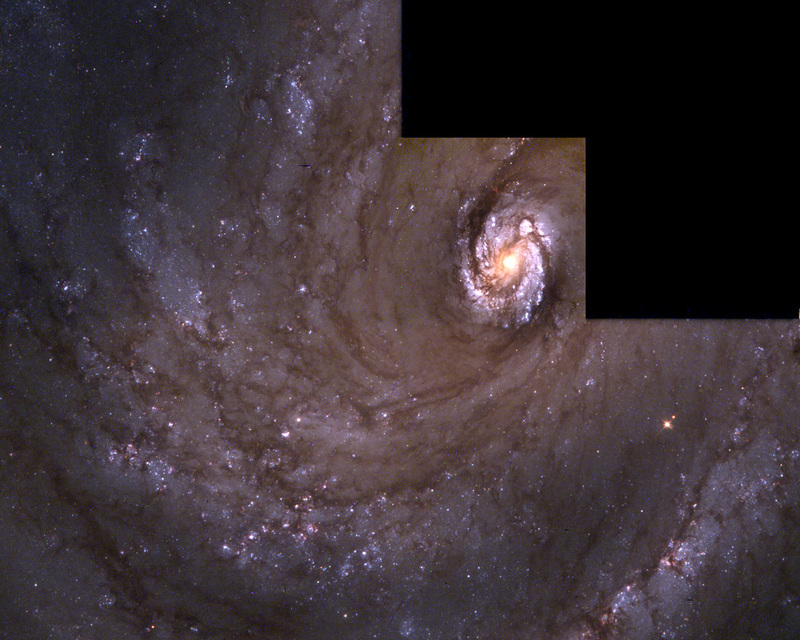 This is the grand design spiral galaxy M100 captured with the second generation Wide Field and Planetary Camera (WFPC-2), newly installed in the Hubble Space Telescope. 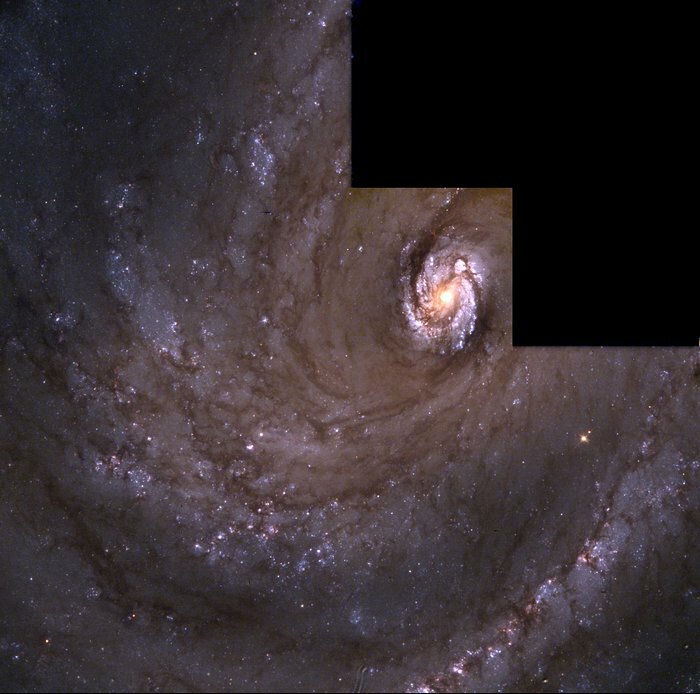 Though the galaxy lies several tens of millions of light-years away, modified optics incorporated within the WFPC-2 allow Hubble to view M100 with a level of clarity and sensitivity previously possible only for the very few nearby galaxies that compose our "Local Group." 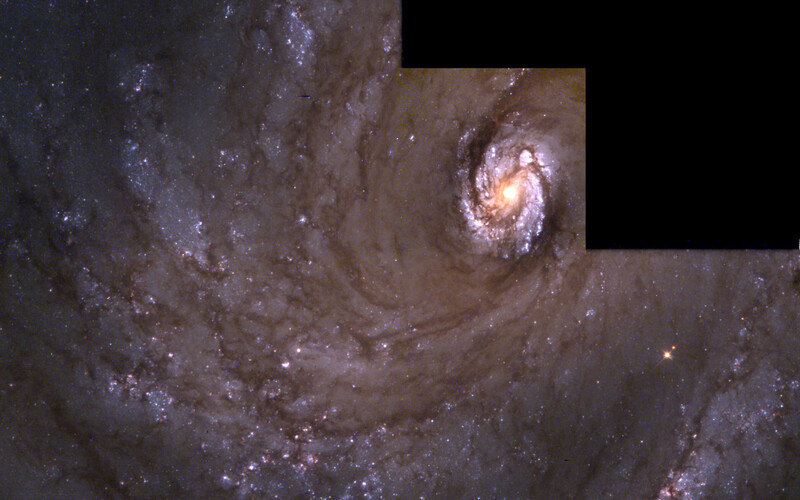 Astronomers must study many galaxies in a host of different environments if they are to come to understand how our own galaxy, our star, and our earth came to be. By expanding the region of the universe that can be studied in such detail a thousand fold, the WFPC-2 will help the Hubble Space Telescope to fulfill this mission. Position (Dec): 15° 49' 16.68"